Well what a fine day out! 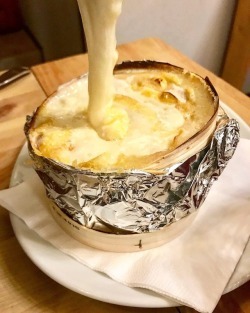 I know that Italy is not part of the Savoie but up until around 150 years ago the Savoie region was part of Italy – so there’s my excuse for letting you know about this gastronomic experience at Ristorante Chiecco! A group of us got up early on Saturday morning loaded all the ski gear into the car and headed off on the Autoroute Blanche, direction Mont Blanc Tunnel and to Courmayeur, a rather glamorous Italian ski resort. We left home at around 7.40am and we were on the slopes skiing in the Italian Alps by 9.15am. Basking in the sunshine the other side of Mont Blanc, known in Italian as Monte Bianco! 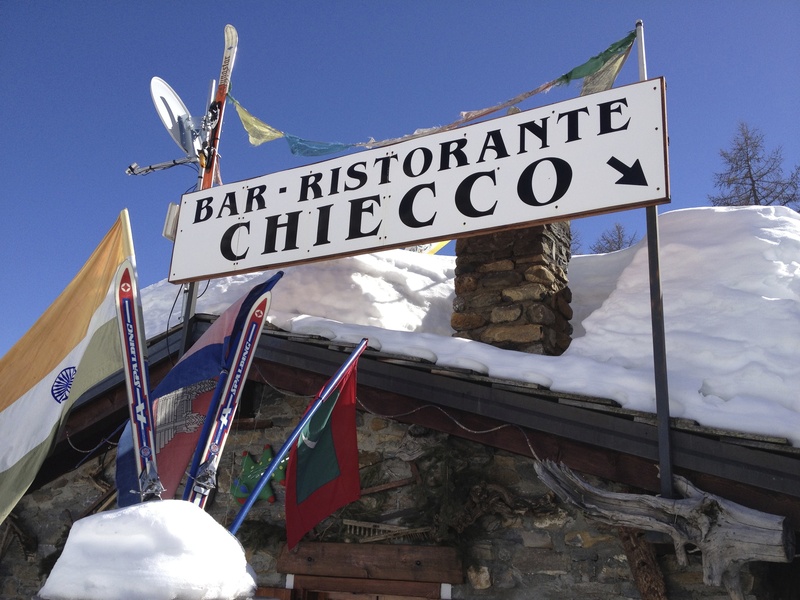 After a tough mornings skiing, we headed to Ristorante Chiecco, nestled on the edge of the piste above Plan Chécrouit on the Dolonne cable car side. I had no idea we were in for such a treat. 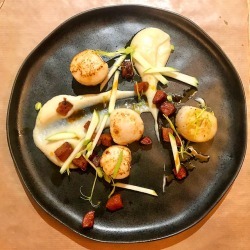 In an area famed for its gastronomy, this little mountain restaurant does not disappoint. The specials board offers delights such as; suckling pig, wonderful lamb dishes, escalope of foie gras, beef sirloin (sottofiletto) and fillet (filetto) with glorious sounding sauces. Alongside traditional pasta dishes, bruschetta and antipasti. Saturday lunchtime was very busy with local trade coming in from Milan and the surrounding area and the Italians certainly know how to lunch!! Be sure to book your table early. Sitting on the terrace in the sun we enjoyed a selection of starters and great antipasti, a wonderful melange of flavours. The service was fun and friendly if a little hectic at times as one would expect on a busy Saturday in a popular Italian resort. Everything I tasted was fabulous! Great tiramisu, chocolate roll and chocolate fondant all followed by good Italian coffee and, of course a Limoncello, which no Italian meal is complete without! At the end of a great day out, we drove into the charming traditional village of Courmayeur, as for me when in Italy I must visit the local deli and take home some local delights. Here is a selection of photos which were taken on my phone, hopefully they give you an idea!